The kids have also used this toothpaste from the beginning, so they don’t know any different. 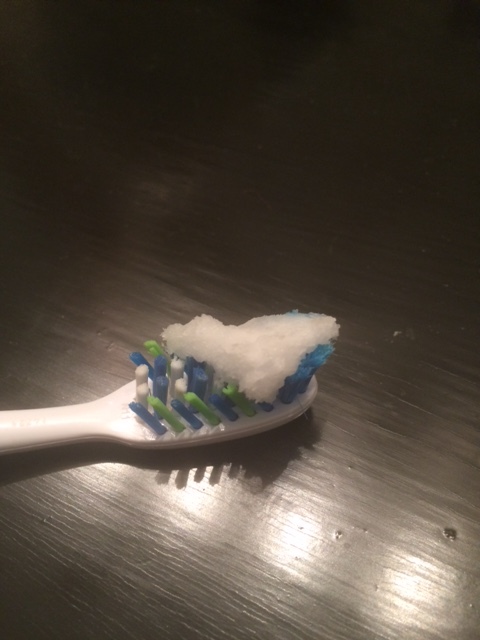 In fact, since A.S. has never had minty ‘paste, when I first started flossing her teeth, she was going on and on about how weird it was that the floss tasted and smelled like her signature mint tea that she orders when she goes to Starbucks with Daddy. She’s a funny little lady – and smart, too! I am confident that I am getting my teeth and the kids’ teeth clean with this recipe, but the real feedback comes from the professionals. Every time I go to the dentist for a cleaning, I refuse the usual toothpaste and get a non-fluoride polish instead. They ask me what I am doing for my dental care. I explain and they examine. My hygienist and dentist both go on and on about how they can’t believe how clean my teeth and gums are and that I should keep doing what I’m doing, whatever that is. Last month A.S. went in for her checkup. Same thing. This was a new hygienist I have never had before. She was astonished at the condition of A.S.’s teeth and asked for specific details about our dental routine. I told her; and she said, whatever it is, keep doing it. So now that I’m getting such great feedback from my gut and my dentist, I think it’s time to share with other possibly adventurous toothpaste artisans. Please keep in mind that I’m not a professional in the dental word, just a natural-solution-loving mom who likes to get crafty in any possible medium I can – even if it’s just plain old toothpaste. Step 1. 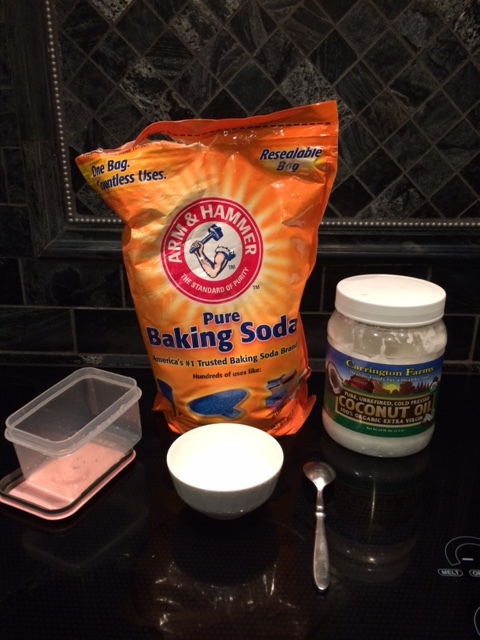 Measure out your coconut oil and baking soda and place into your mixing bowl. 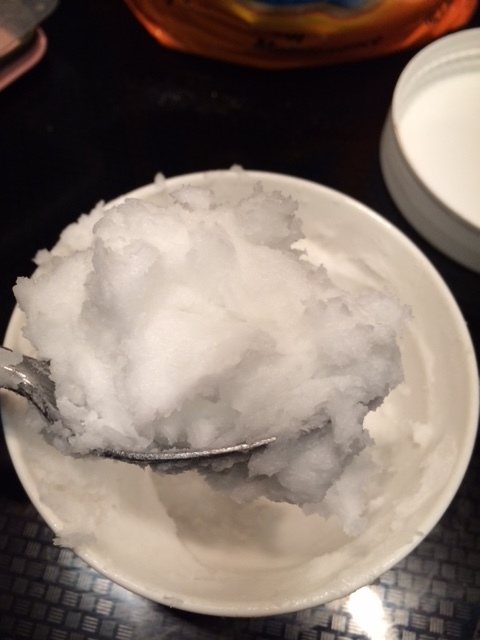 As you mix, the coconut oil and baking soda start to combine with each other. Your mixture will become smoother and smoother the longer you mix. Just mix until you have a consistency that you like. Step 3. Transfer your thoroughly mixed paste to your storage container of choice. If you try it, let me know how you (and your dentist!) like it! To your dental health, naturally!